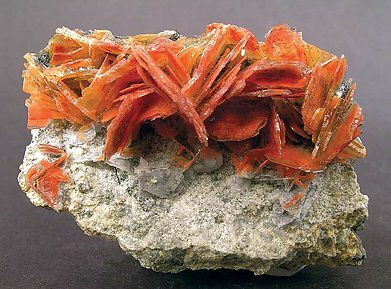 Bunched groups of white Baryte crystals, between laminar to tabular, which grade into a very intense red color due to dense Realgar inclusions. 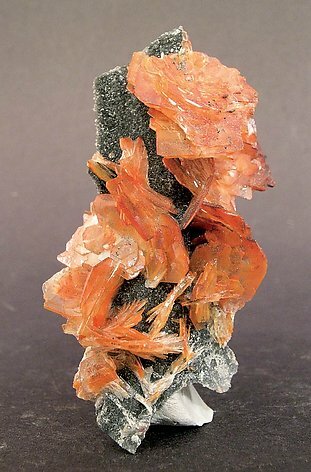 The Baryte includes both Realgar and Boulangerite (at the bottom) giving it red and black zones. Minor very brilliant Stibnite is associated with it too. 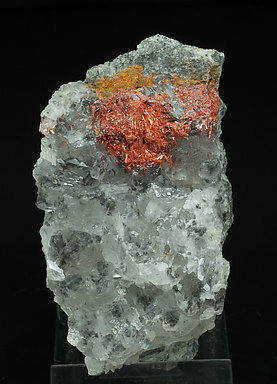 Intensely colored Baryte, aerial on its matrix, and also colored black by the Boulangerite. The deepest reddish colors in these crystals on matrix with Boulangerite as well. A novelty at Munich 2013. 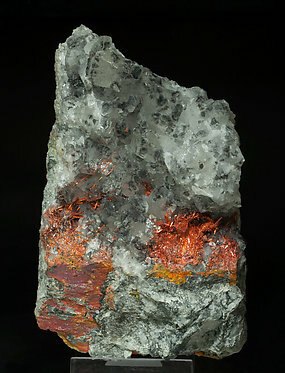 Acicular Realgar crystals, a very uncommon shape for the species. They have grown on and are included in parallel groups of transparent rhombohedral crystals of Calcite. A novelty at Munich 2013. 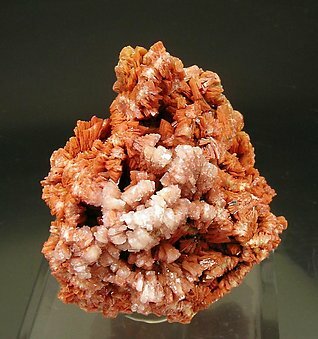 Dense aggregates of fibrous and acicular Realgar crystals, an uncommon shape for the species. 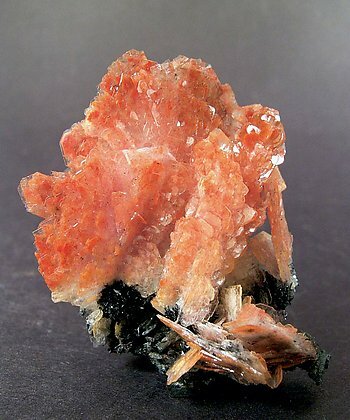 They have grown on parallel groups of transparent rhombohedral crystals of Calcite with inclusions and on matrix.